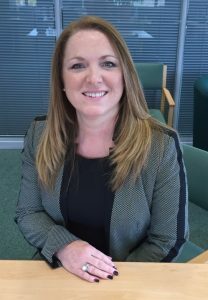 The Needs Enhanced Support (NES) team at HMRC are using digital technology to tailor-make services for customers who can’t access our services using our standard channels. I’m Jean Harrold, NES Service Delivery Manager. One of the most exciting initiatives for us recently has been working with the Royal Association of the Deaf (RAD) to find digital solutions for our deaf customers. With RAD support and guidance we’ve created a unique microsite and direct telephone link to HMRC NES advisers to deal with their personal tax, tax credit and Child Benefit affairs, giving our deaf customers full access to HMRC just like any other customer. 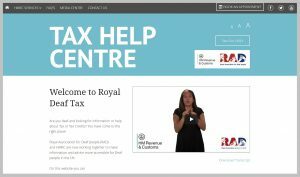 Housed on the RAD website, our HMRC microsite gives deaf customers easy access to key information with ‘how-to’ videos in British Sign Language (BSL). Each video explains key tax events like how to renew tax credits, claim marriage allowance and complete a tax return. interact directly with us by booking an appointment for a real time three way conversation – customer to BSL translator via Skype and BSL translator to NES adviser via telephone. This fundamental change in how our deaf customers interact with us gives back control and independence and means people don’t have to rely on friends or family and don't miss out on benefiting from HMRC services. We’re still working to improve the service all the time, creating even more 'how-to' videos and a specialist webchat service. So far, feedback from deaf customers and The Royal Association of the Deaf has been extremely positive. It’s also helped our own customer advisers gain a massive insight into the diverse needs of our customers. using the masses of data we already hold to find a link to help us identify key characteristics of people who need extra support and stop them slipping through the net - this is still in the early stages of development but from the initial testing, the results have been very promising. If you or someone you know would benefit from our NES service you can find out more at https://www.gov.uk/dealing-hmrc-additional-needs. To access the RAD microsite go to http://royaldeaftax.org.uk/. This is a great addition to the help and support NES staff already provide to our most vulnerable customers. Well done to everyone involved who I know have been working proactively with RAD for over a year to make this outcome a reality.